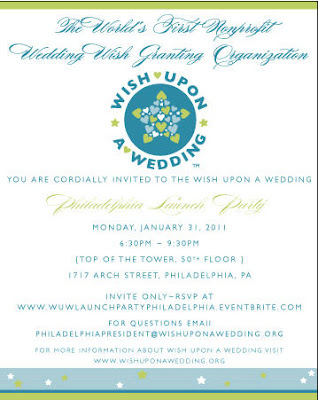 Wish Upon a Wedding is a nonprofit 501 (c) (3) organization that provides weddings and vow renewals to couples facing terminal illness or other serious life-altering circumstances, regardless of sexual orientation. Often, couples facing such situations do not have the energy, time, money, or resources needed to plan their wedding. This amazing organization takes care of all the details, offering couples a chance to relax and enjoy a very special day while surrounded by the love of their closest family and friends. By celebrating the courage & spirit of these couples, they help create lasting memories that will be cherished for years to come. It is our wish to instill a sense of hope and strength in other couples who may be facing similar situations. Officially launched in January of 2010, Wish Upon a Wedding currently has over a dozen chapters to serve Wish Applicants. They service couples residing in or wishing to get married within 300 miles of any one of our chapter locations. Are you going? Can't wait!